It’s Not Just Your Ordinary Dog Food. 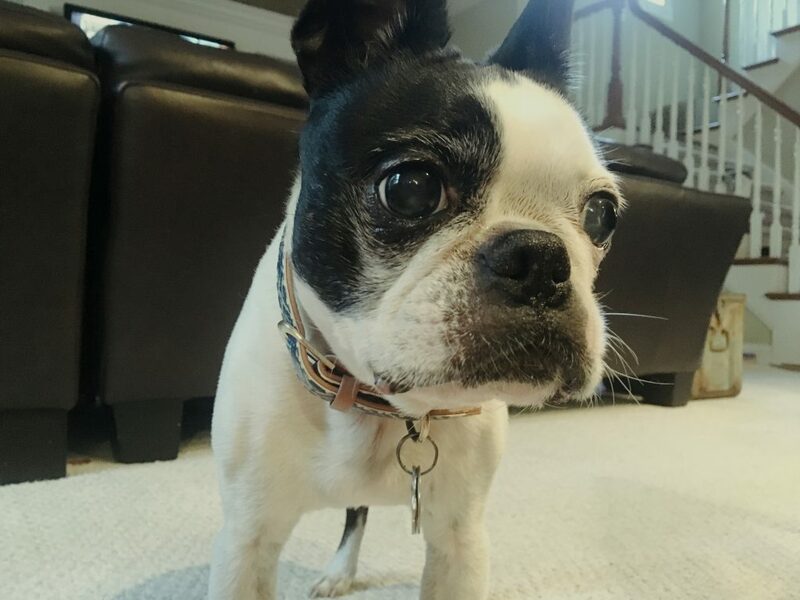 A few weeks ago, I wrote a piece about a trip I took to St. Louis to meet up with some friends from the Purina Beneful family. As I previously mentioned, Purina has been a brand used by my family since we brought our Golden Lab, Cara, home almost 35 years ago – and they remain a company I’m loyal to – feeding my dog, Cooper, their Beneful line. It was an enlightening experience, not just traveling to St. Louis (without kids) for the first time, but walking the halls of Purina, meeting with the folks who have worked there for years, that legitimately care about the brand. 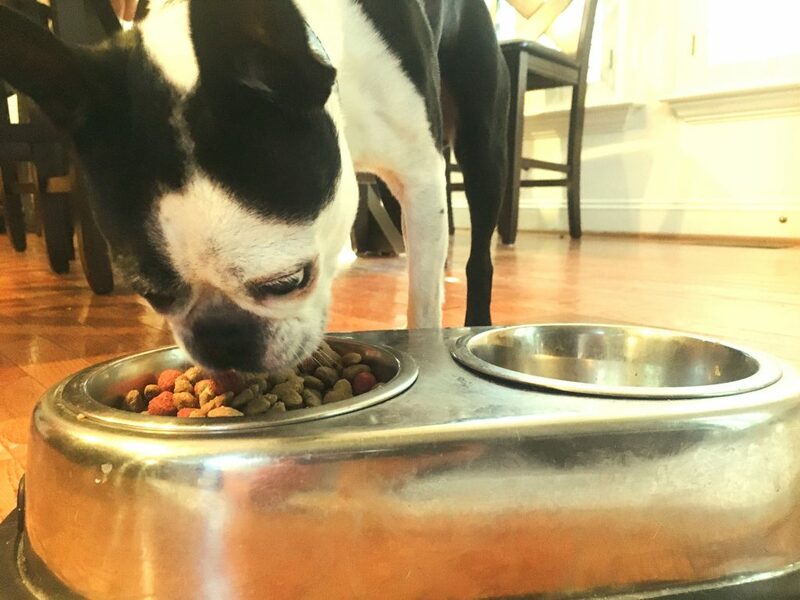 They’re parents and grandparents – and much like what they feed their kids and grandchildren, are concerned about what they feed their pets. 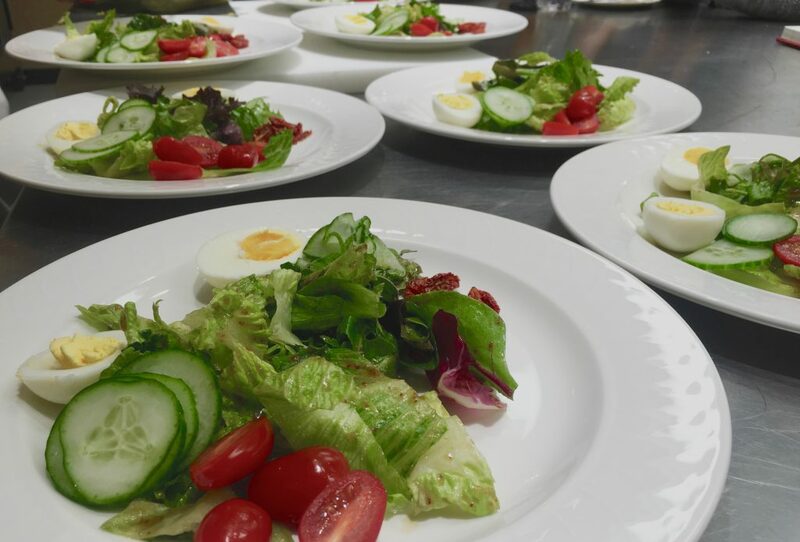 As part of our immersion experience, we were invited to join Purina’s own in-house Chef, Amanda, for a multi-course tasting over the lunch hour. At first, the comedic part of my brain was working overtime, coming up with a thousand jokes based around the fact that we were invited to eat lunch at a company that makes dog food. However, the rational part of my brain (a small percentage) won the battle, piqueing my interest and convincing me to explore the unknown. 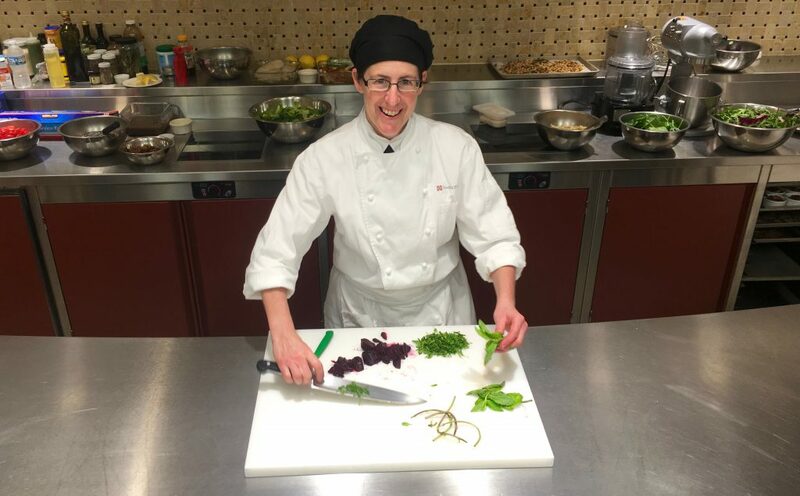 As we entered the test kitchen and observed Chef Amanda in her element, I immediately became ensconced with her devotion to the ingredients, preparation and their presentation. Chef Amanda uses basil to say hello. During the lunch, I noted that ‘whomever was responsible for the branding on the Beneful bags, certainly caught my eye – it seemed as if it was something that I would want to eat myself’, which I’m guessing was their goal. Why shouldn’t our pets be able to eat some of the same things we do? In my opinion, it’s genius marketing – I’m the one buying the food – make it appealing to me and my dog eats better. Beneful recognizes that real meat should be the #1 ingredient in your pet’s food and it’s now a reality. They’ve already secured this objective in beef and chicken and are working arduously to secure salmon as a third main component, but have been hamstrung by supply. The great thing about their new recipe is that NO SUGAR is added. My friends in St. Louis surprised me (and Cooper) with a few samples earlier this month and he could smell it as I unpacked the box from FedEx. I’m guessing it wasn’t the accents of spinach, peas and carrots, nor the 22g of protein or 23 essential vitamins and minerals, but more so that REAL beef was the #1 ingredient. Beneful suggested that I ease Cooper into the new recipe and that he may not be completely receptive right away. I ignored this advice (rebel) and this dude didn’t flinch. His favorite movie is ‘Gone in 60 Seconds’. To make certain that anyone who wants to try the new Beneful recipe has the opportunity to, Beneful is offering people a chance to sign up for a free sample of the new product online. Simply click here and sign up for a taste! I hope you guys watch your pets enjoy this new recipe as much as mine have! EDITOR’S NOTE: This is a sponsored post on behalf of Beneful, however the thoughts and opinions are all mine. Learn more about Beneful and their new recipe on Facebook, Twitter and Instagram. « The Facts About Giving Your Kids Drugs.